Parliament's grounds have been a site for public protest since they were landscaped during the rebuilding of the House of Representatives in the 1910s. They have hosted hundreds of demonstrations and protests. 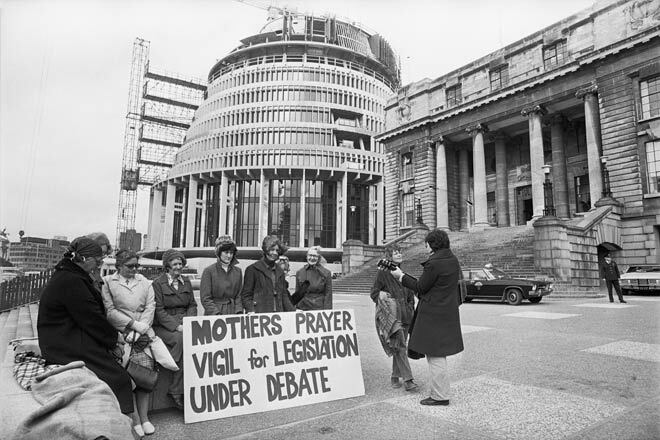 This 1977 prayer vigil protesting the passage of a bill to legalise abortion was among the smaller ones. In the background, the Beehive (Parliament's executive wing) is under construction.